November 2, 2015 November 3, 2015 - by huma Iqbal - 32 Comments. 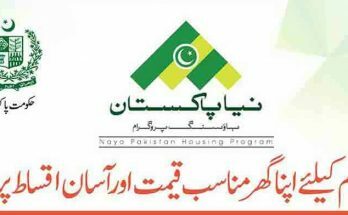 the registration for PM Scheme 2016 starts from today and the last date of registration is 15 December 2015 so hurry up students registered yourself though pmnls.hec.gov.pk today and get laptops in scheme 2016. the special quota for Virtual University and Allama Iqbal University, and Government Technical Colleges. 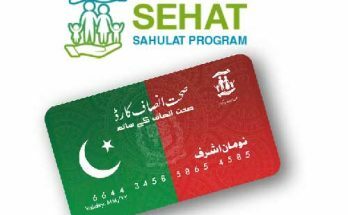 Higher education commission of Islamabad announced special notice attention for MBA, 1.5 years, Msc, And BS student, who wants to avail offer from Prime Minister Youth Program Laptop scheme. The remaining date of bachelors and masters date on HEC students portal will be added within first week of November. Please note that you might suffer slowing down of PMLNS HEC student portal, as huge numbers of students are visiting of validation. 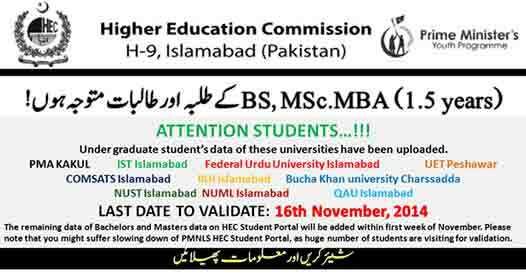 It’s a special notice for those undergraduate students of these universities PMA kukul, IST Islamabad, federal urdu university, UET Peshwar, Comsats Islamabad, IIUI Islamabad, Bucha Khan University Charssadda, NUST Islamabad, NUML Islamabad, QAU Islamabad, that validate their data though official website of HEC www.pmnls.hec.gov.pk. HEC validation your Data online. 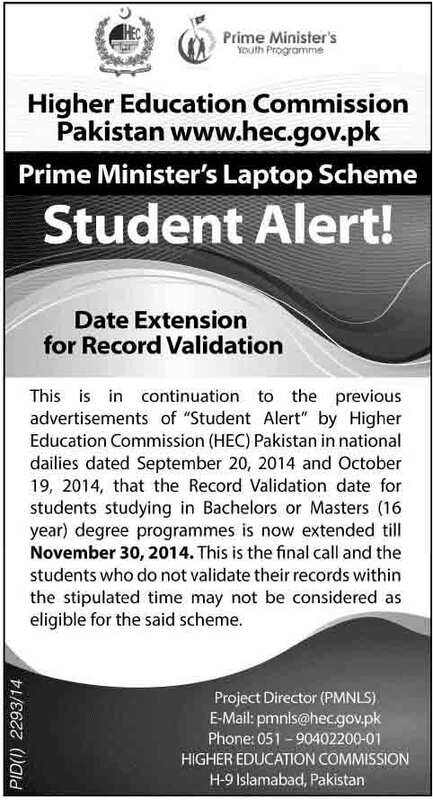 Because HEC announced last date of validate your date, and the date is 16 November 2014. How can i found online registry form ? i am the student o b.s computer science from govt college peshawar.and affilited with unty of peshawar. and my gpa is 3.42.plz i belong poor family .plz muja be laptop di geya.plz sir. Ur GPA is quite good… don’t beg for this bcz I hope ur name is included in merit list…. Sir I add my fault enrollment number.now what can I do?plz guide and plz tell either this fault create any problem during the process of laptop obtaining? Plz give me laptop. .I am student of MBA.